Sir Alex Ferguson has received the most Manager of the Season awards with eleven. The Premier League Manager of the Season is an annual association football award presented to managers in England. It recognises the most outstanding manager in the Premier League each season. The recipient is chosen by a panel assembled by the league's sponsors and is announced in the second or third week of May. The award was established during the 1993–94 season by then-league title sponsor Carling. For sponsorship purposes, it was called the Carling Manager of the Year from 1994 to 2001, the Barclaycard Manager of the Year from 2001 to 2004, and since 2004 known as the Barclays Manager of the Season. In 1994, the inaugural Manager of the Season award was given to Manchester United manager Alex Ferguson for retaining the league championship. The current holder of the award is Manchester City manager Pep Guardiola. 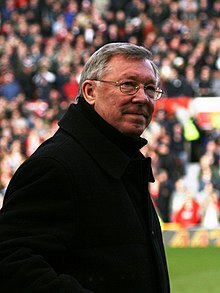 The most number of awards won by a single manager is eleven, achieved by Alex Ferguson between 1994 and his retirement in 2013. He accounted for more than half of the awards in that period of time. In 1998 Arsène Wenger became the first non-British manager to win the award, and has so far received it on two further occasions with Arsenal. José Mourinho is the only manager other Ferguson and Wenger to have won the award on more than on one occasion, and the only manager other than Ferguson to win the award in consecutive seasons. Four managers have won the award without winning the Premier League trophy in the same season, reflecting the weight of their achievements: George Burley in 2000–01, having guided Ipswich Town to fifth place in the league, after only securing the club's promotion from the First Division the previous season; Harry Redknapp in 2009–10, for steering Tottenham Hotspur to a top-four finish for the first time in twenty years, Alan Pardew in 2011–12, having guided Newcastle United to their highest position in nine years  and Tony Pulis in 2013–14, for steering Crystal Palace from bottom of the league in November to an 11th-place finish. The Premier League was formed in 1992, when the members of the First Division resigned from The Football League. These clubs set up a new commercially independent league that negotiated its own broadcast and sponsorship agreements. The inaugural season had no sponsor until Carling agreed to a four-year £12 million deal that started the following season. That same season, Carling introduced the Manager of the Month and Manager of the Season awards, in addition to the existing manager of the year award presented by the League Managers Association. The first Manager of the Season award was presented to Alex Ferguson after winning the Premier League with Manchester United for the second consecutive season. Kenny Dalglish was awarded the accolade in the 1994–95 season, having guided Blackburn Rovers to their first league title in 81 years. Despite losing to Liverpool on the final matchday, Blackburn secured the championship when Manchester United failed to beat West Ham United the same day. Manchester United regained the Premier League the following season, resisting Newcastle United's threat, and successfully retained the championship in 1996–97, ensuring that Ferguson became the first manager to win two consecutive awards. Arsène Wenger was the first non–British manager to receive the Manager of the Season award, having led Arsenal to the top of the Premier League in 1997–98, his first full season at the club. This achievement was significant given that Arsenal were, at one stage, 12 points behind leaders Manchester United. After a climactic finish to the 1998–99 season, Ferguson was presented with his fifth managerial award for winning the Premier League with Manchester United. The club beat Tottenham Hotspur on the last matchday to secure their fifth championship in seven years, and in the following week completed a treble of trophies consisting of the domestic league, FA Cup and UEFA Champions League. Ferguson received the accolade again in 1999–2000, as Manchester United finished 18 points above second-placed Arsenal. Ipswich Town manager George Burley was the winner in 2000–01, the first time the award did not go to a league-winning manager. Ipswich Town, who won promotion to the Premier League from the First Division in the previous season, finished fifth and qualified for the UEFA Cup. Burley triumphed over Ferguson, who led Manchester United to their third consecutive championship title, and Liverpool manager Gérard Houllier, who guided his team to three trophies and a berth in the Champions League. Wenger was named the Manager of the Season for 2001–02 after guiding Arsenal to thirteen consecutive wins towards the end of the season – a run which ensured the club regained the Premier League trophy. For winning his eighth Premier League title with Manchester United, Ferguson was given the award in the 2002–03 season. Wenger was the outstanding winner for the award in 2003–04 as he managed Arsenal to an unprecedented achievement of winning the league without a single defeat. Reflecting on Wenger's accomplishment, a Barclaycard Awards Panel spokesperson said "Arsène Wenger is a very worthy recipient of this accolade and has sent his team into the history books. Arsenal have played exciting attacking football throughout the season and finishing it unbeaten is a feat that may not be repeated for another 100 years." Chelsea manager José Mourinho was chosen as the recipient for the 2004–05 season for taking the club to its first league championship in 50 years. Chelsea finished the season with a league-record 95 points, 12 points ahead of runners-up Arsenal, scoring 72 goals and conceding 15 in the process. Mourinho won the award a second successive time the following season – the first foreign manager to do so – as Chelsea won their second Premier League title. Ferguson collected the award for the 2006–07, 2007–08 and 2008–09 seasons, in a period when Manchester United regained the domestic title after a four-year drought and retained the trophy for a further two years. Tottenham manager Harry Redknapp was presented with the award at the end of the 2009–10 season, having guided the club to fourth position and a spot in the following season's Champions League at the expense of Manchester City. In May 2011, Ferguson picked up his tenth Manager of the Season award for leading Manchester United to a record 19th league title. In May 2012, Alan Pardew won his first Manager of the Season award after guiding Newcastle United to their highest position in nine years. In May 2013, Ferguson picked up his eleventh Manager of the Season award for leading Manchester United to a record 20th league title. Tony Pulis became the first Welsh recipient of the award in May 2014, for guiding Crystal Palace from bottom place to 11th. José Mourinho has won the award three times with Chelsea. Harry Redknapp was the first Englishman to win the award. ^ a b "Ronaldo & Ferguson win top awards". BBC Sport. British Broadcasting Corporation. 14 May 2008. Retrieved 16 December 2011. ^ Rice, Simon (23 May 2011). "Too many awards in football make them worthless". The Independent. Archived from the original on 11 October 2013. Retrieved 16 December 2011. ^ a b Traynor, James (14 May 1994). "Ferguson's secret has led to a United stand". The Herald. Retrieved 16 December 2011. ^ a b c d "Burley scoops top manager award". BBC Sport. British Broadcasting Corporation. 21 May 2001. Retrieved 16 December 2011. ^ "Harry Redknapp named Barclays Manager of the Season". Barclays FC. Archived from the original on 23 December 2012. Retrieved 16 December 2011. ^ a b "Newcastle United's Alan Pardew named manager of the season". BBC Sport. 11 May 2012. Retrieved 11 May 2012. ^ "History of the Premier League". Premier League. Archived from the original on 21 April 2012. Retrieved 16 December 2011. ^ Jones, Peter (19 January 2001). "Why Carling called time on Premiership". BBC Sport. British Broadcasting Corporation. Retrieved 16 November 2011. ^ "Premier League Awards". Premier League. Archived from the original on 10 December 2006. Retrieved 20 October 2009. ^ "Kenny Dalglish at Blackburn". The Independent. 23 August 1996. Retrieved 13 January 2012. ^ Shaw, Phil (15 May 1995). "Ewood Park has seen it all before – long, long ago". The Independent. Retrieved 13 January 2012. ^ Moore, Glenn (15 May 1995). "Rovers' title forged by Hammers". The Independent. Retrieved 13 January 2012. ^ "Old Trafford fans are Ferguson's inspiration". The Herald. 13 May 1997. Retrieved 14 January 2012. ^ "Top bosses made to wait". BBC Sport. British Broadcasting Corporation. 14 May 2001. Retrieved 14 January 2012. ^ Stone, Simon (5 March 2011). "Angry Fergie comes out fighting". Irish Examiner. Retrieved 14 January 2012. ^ "Fergie is top boss". BBC News. British Broadcasting Corporation. 17 May 1999. Retrieved 13 January 2012. ^ "Fergie wins manager award". BBC News. British Broadcasting Corporation. 15 May 2000. Retrieved 13 January 2012. ^ "Derby dent Ipswich hopes". BBC News. British Broadcasting Corporation. 19 May 2001. Retrieved 14 January 2012. ^ "Wenger wins double honours". BBC Sport. British Broadcasting Corporation. 13 May 2002. Retrieved 13 January 2012. ^ "Moyes manager of the year". guardian.co.uk. Guardian Media Group. 13 May 2003. Retrieved 14 January 2012. ^ Pearson, James. "Gunners duo land more awards". Sky Sports. Retrieved 14 January 2012. ^ "Chelsea trio scoop season awards". BBC Sport. British Broadcasting Corporation. 13 May 2005. Retrieved 14 January 2012. ^ "Wenger: 78–80 points enough for title". ESPN STAR Sports. Archived from the original on 30 July 2012. Retrieved 23 January 2012. ^ "Chelsea 2004–2005 : English Premier League Table". Statto.com. Archived from the original on 6 December 2013. Retrieved 25 January 2012. ^ "Mourinho scoops managerial award". BBC Sport. British Broadcasting Corporation. 8 May 2006. Retrieved 13 January 2012. ^ "Moyes wins record third LMA award". BBC Sport. British Broadcasting Corporation. 28 May 2009. Retrieved 14 January 2012. ^ "Harry Redknapp named manager of the year for cracking top four with Tottenham Hotspur". Daily Mail. Associated Newspapers. 8 May 2010. Retrieved 14 January 2012. ^ "Sir Alex Ferguson and Nemanja Vidic win season awards". BBC Sport. British Broadcasting Corporation. 20 May 2011. Retrieved 14 January 2012. ^ T.Vĩ (22 May 2013). "Alex Ferguson - HLV xuất sắc nhất giải Ngoại hạng Anh năm 2013". Tuổi Trẻ (in Vietnamese). Archived from the original on 9 March 2014. Retrieved 9 March 2014. ^ "Luis Suárez and Tony Pulis scoop Barclays Premier League season awards". The Guardian. 13 May 2014. Retrieved 13 May 2014. ^ a b c d e f g h i j k "Manager profile, Sir Alex Ferguson". Premier League. Archived from the original on 5 December 2011. Retrieved 16 December 2011. ^ "Manager profile, Kenny Dalglish". Premier League. Archived from the original on 10 December 2011. Retrieved 16 December 2011. ^ a b c "Manager profile, Arsene Wenger". Premier League. Archived from the original on 22 August 2015. Retrieved 16 December 2011. ^ a b c "Manager profile, José Mourinho". Premier League. Archived from the original on 25 August 2015. Retrieved 23 May 2015. ^ "Manager profile, Harry Redknapp". Premier League. Archived from the original on 11 January 2012. Retrieved 16 December 2011. ^ "Manager profile, Alan Pardew". Premier League. Archived from the original on 25 May 2016. Retrieved 18 May 2016. ^ "Manager profile, Tony Pulis". Premier League. Archived from the original on 10 February 2014. Retrieved 13 May 2014. ^ "Manager profile, Claudio Ranieri". Premier League. Archived from the original on 26 May 2016. Retrieved 18 May 2016. ^ "Guardiola named Barclays Manager of the Season". Premier League. 15 May 2018. Retrieved 16 May 2018. This page was last edited on 14 January 2019, at 18:50 (UTC).